Stop Action 4, originally uploaded by toephoto. This is one frame from a series of stop action shots I did last month. 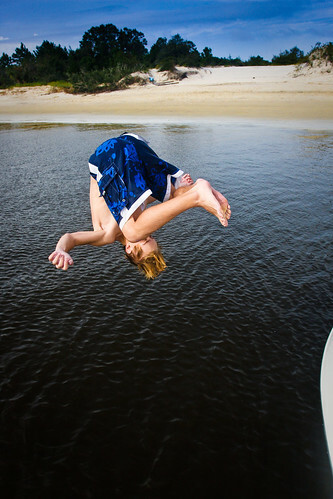 Christian is doing flips off a friend’s boat. I’m snapping with my new 40D, which captures 6.5 frames per second.